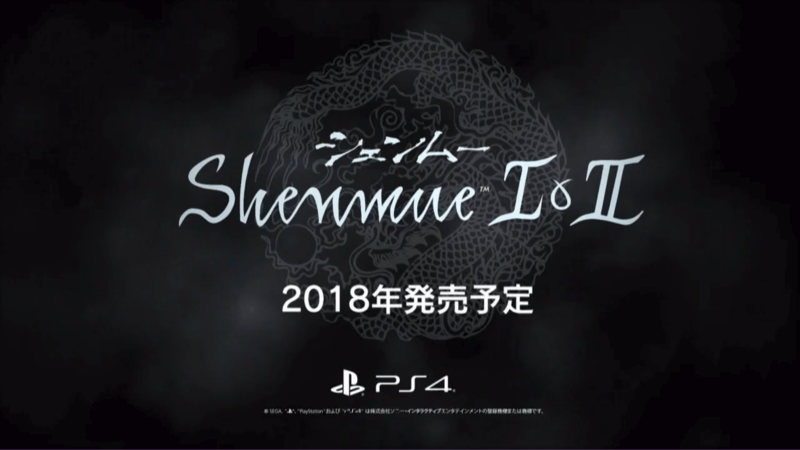 It was announced during the SEGA FES 2018 stream that Shenmue I & II will be releasing on PlayStation 4 in Japan this year. The title will also be released in North America and Europe. From the footage shown, it looked like the games will be receiving an upgrade for wide-screen support. We do not know when the title will be released in the West but for now, let’s be happy that a new generation of players can enjoy these great games. UPDATE 2: We have an official presss release confirming that the title will not only get a physical release but will also be available for Xbox One and Steam. SEGA® Europe Ltd. is proud to announce that the pioneering epic saga Shenmue™ I & II is to be re-released for a new generation. Get ready to go on a thrilling voyage across faithful recreations of Japan and Hong Kong, China, in a timeless tale of revenge and mystery when Shenmue I & II launches both physically and digitally on PlayStation® 4 and Xbox® One with a PC release on Steam in 2018.